Ryan Murphy took to Twitter to personally announce the news that many of the cast members for American Horror Story: Coven will return for the series including Taissa Farmiga, Lily Rabe, Gabourey Sidibe, Frances Conroy, and legendary rock singer Stevie Nicks. 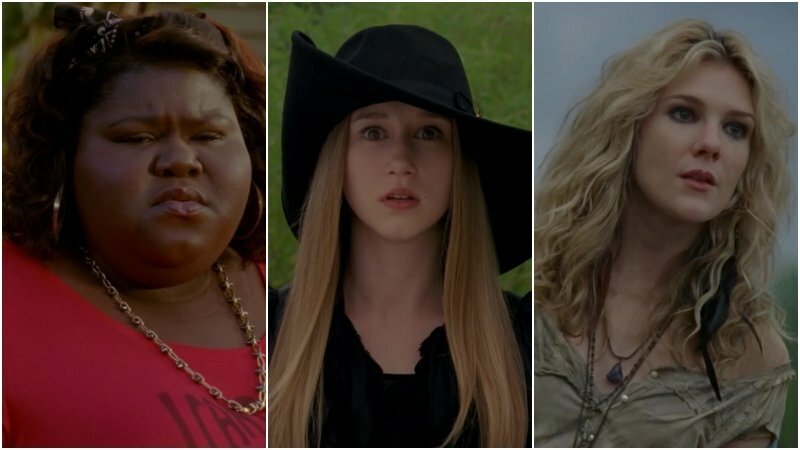 Nicks, Farmiga, Rabe, Sidibe and Conroy are expected to reprise their roles from season 3’s Coven. Recently, Sarah Paulson has also announced the news that Jessica Lange would also be joining American Horror Story: Apocalypse as Constance Langdon during the TCA Summer Press Tour. Series co-creator Murphy (Glee, Feud) has already confirmed that the new season will be a crossover between Season 1 (Murder House) and Season 3 (Coven). The two different seasons had dramatically different endings when they concluded, with Murder House ending with the impending arrival of the Antichrist and Coven ending with the witch school happily opening itself up to the public. It remains to be seen how the two will intertwine, or what the narrative will be. It was previously announced most of the returning cast members would come back for the eighth season, including Paulson, Kathy Bates, Evan Peters, Adina Porter, Cheyenne Jackson, Billy Eichner, Leslie Grossman and Billie Lourd, as well as franchise newcomers Joan Collins and Cody Fern. It remains to be seen how actors like Paulson or Peters will factor into the crossover, having played two different characters in both seasons. The Emmy, Golden Globe and AFI Award-winning series from co-creators Murphy and Brad Falchuk aired its seventh season on FX last year. The sixth installment, American Horror Story: Roanoke, recently received four Emmy Award nominations in the hairstyling, makeup and sound editing categories. The American Horror Story franchise has received 28 Emmy nominations and four wins over its previous six seasons. It is produced by Twentieth Century Fox Television. American Horror Story was renewed for two more seasons back in January of 2017. American Horror Story: Apocalypse will premiere on September 12 on FX.